Anyone have a good method for getting through security when attempting to jumpseat? Every time I've tried to go through TSA without already having a gate pass or jumpseat boarding pass from the ticket counter, a supervisor has been called over and I've had about a 50% success rate from there. The obvious answer is to list or get a gate pass at the ticket counter, but I've been told many times (depending on the airline) that they don't do that and my airline ID is good enough to get past security. Then TSA says I need a boarding or gate pass since I'm not in "uniform" and not in KCM. Has anyone tried using the confirmation page from listing online for AA/B6/WN? I'm in the process of getting PreCheck, which may help a bit, but I'm sure I'll still have issues with TSA not knowing what to do with a jumpseating dispatcher. You could try making a space availbable listing on your own airline, then cancelling it once past security. PITA, I know, but we are talking TSA here. Used to be an airline ID would always get you through security but that doesn't seem to be the case any more. PreCheck is definitely worth the money. Not sure since every time I've jumpseated I first listed at the counter for the airline I'm JSing on, then went through TSA with the 'seat request' form I received. Never had any issues. Wearing a white button down shirt with black slacks has given me 100% success rate. Have yet to ask for a supervisor. But I seldomly JS so there's that. I've never had an issue getting through the checkpoint at MSP with just my badge. But they will make you go through the regular security line if you're a crewmember not in uniform (i.e. All the time for us). That usually leads me to list nonrev on a flight on my airline and get a seat request card, go through precheck, and then cancel it on the other wide. Unfortunately, airports like SFO, MIA, JFK, etc. have terminals that aren't connected post-security, so sometimes you have no choice but to go through on your badge. Haven't had many issues though; usually they just look at it for a few seconds and then let me go through. It also helps that our badges say "CREW" on them. At least at SFO (or the unconnected LAX terminals), you can clear security at any terminal with a boarding pass/seat-request for any other terminal. I used to fly out of EWR alot and was always getting hassled. But then i started wearing my old military uniform without any insignia or medals. And i looked like every other other Pilot/FA/Guard/Govt worker off duty. They never stopped me again, even the gate agents just gave me the jump seat Request or ticket, with a smile, lol. 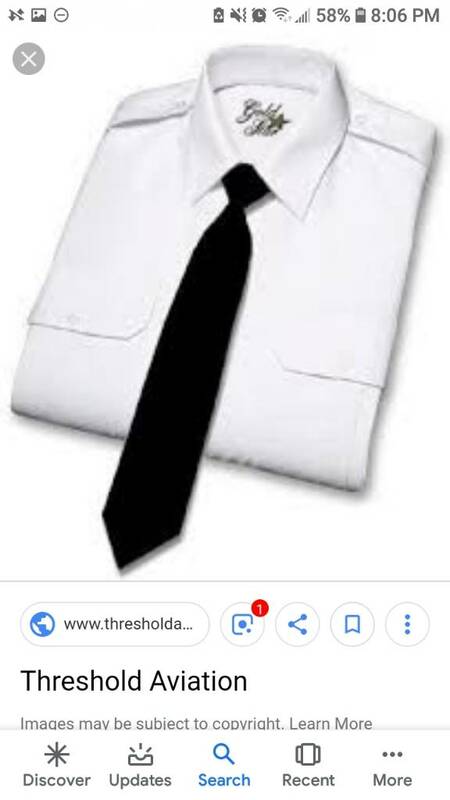 Any white shirt with epaulets, clip on black tie and black pants will do the trick. And you can find them at most places very cheap. Its a great investment if you are going to have a life long career in Aviation. Hmm, you get a 50% success rate even after their Sup comes over? Here in Vegas we go through the employee line which is never more than 2-3 deep, but the Sup does get called over a good amount. Usually once that happens, the Sup educates the agent on the procedure and you go right through. I am going to have to try the pilot shirt thing. Pretty good idea I never even considered because I get asked all the time where my uniform is when i'm just in any old collared shirt. Welcome to DTW and the life of a cargo airline. The wording on the badge does not help much either...unless they changed it to read "CREW". I never had an issue going through there wearing black slacks and some sort if jacket with the company insignia on there... Even when I was commuting every 4 days. I still do that with my current shop and I typically JS 2-4 times a month. Other question I have is how all you cargo dispatchers out there utilize PreCheck/Global Entry? Since you can't just list on your own airline and obtain a boarding pass using your Known Traveler Number, do you list for the jumpseat at the ticket counter and ask the agent to add your KTN so you get the PreCheck notation on your jumpseat pass? Not a cargo dispatcher, but if you are jumpseating on UA and you get an agent at the ticket counter to list you (hit or miss), you can scan your boarding pass on one of the kiosks and add your KTN on there. myIDTravel's listing site has a field for KTN so any airlines that you list for on there (Allegiant, American, JetBlue, Southwest) it will appear on your boarding pass. ID90Travel, the listing site for Frontier and Sun Country, unfortunately does not have a spot where you can enter it. Back when you had to call Sun Country reservations to make a jumpseat listing, they always added it for me when I asked them to. You don't need either of those programs if you're jumpseating on a cargo plane. The question wasn’t about jumpseating on company metal, but rather utilizing reciprocal agreements. GlobalEntry is great when riding cargo, especially when coming in through LAX, where you get driven over to join the crowd at the TBIT for CBP. Seems like a bad idea to wear a pilot shirt with epaulets. The shirt is fine, but if you put the epaulets on there, now you're borderline impersonating a pilot. 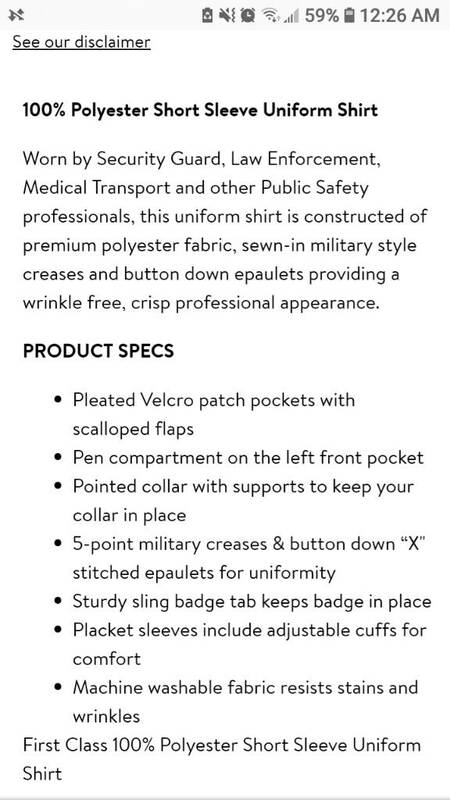 Did you mean the little button-down epaulet placeholders or the actual epaulets? I gave my own personal story and a suggestion. To be clear, Im not trying to get anyone fired or detained. I even said shirt with no insignia. Here is a description of the shirt. So there's no misunderstanding. I was in the military. I know how serious impersonating an officer or this case a pilot is. Our mx and load masters put epaulets on to make security and immigration go more smoothly. Works well. Get 2 stripes, or 5 for the lolz. Doesnt matter. All the blueberry cares is you look the part. 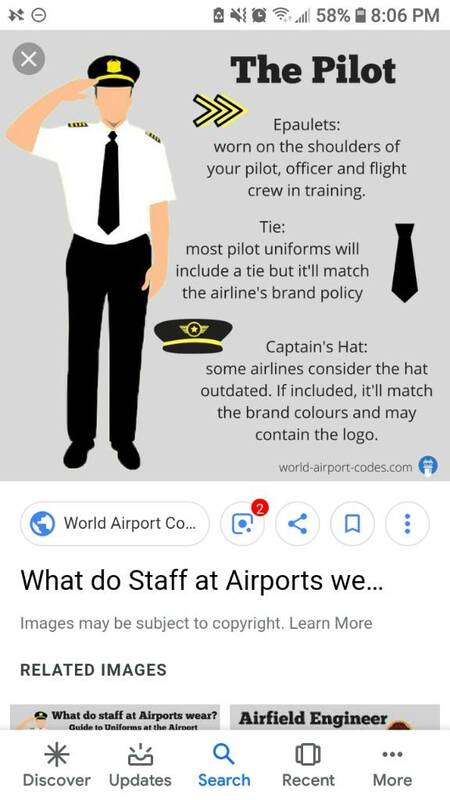 I've known a few dispatchers who went the pilot shirt route with the epaulets. I guess it could possibly get you in hot water but you could just say it's your uniform. After all, no one knows who/what a dispatcher is and TSA frequently demands you wear your "uniform".